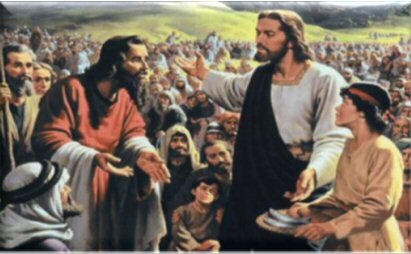 “In those days when there again was a great crowd without anything to eat, Jesus summoned the disciples and said, My heart is moved with pity for the crowd, because they have been with me now for three days and have nothing to eat. Then, taking the seven loaves he gave thanks, broke them, and gave them to his disciples to distribute, and they distributed them to the crowd. He said the blessing over them and ordered them distributed also. He dismissed them and got into the boat with his disciples and came to the region of Dalmanutha. ” -Mark 8:1-10. One of the most significant events of Fr. 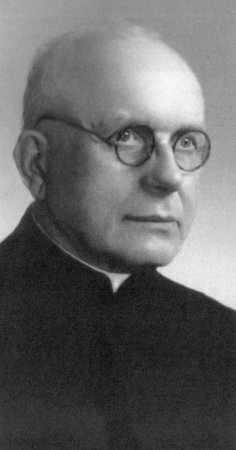 Sopoćko’s life occurred in 1933, when he became the Spiritual Director of Sr. (now Saint) Faustina Kowalska of the Congregation of Sisters of Mary Mother of Mercy. He continued to assist the Saint after his transfer to Łagiewniki, and where she died on October 5, 1938. As her confessor, he undertook a thorough evaluation of Sr. Faustina’s mystical experiences concerning devotion to the Divine Mercy. Following his advice, she wrote of these in her “Diary.” To this day this remains a spiritual classic. Fr. Sopoćko played a major role in establishing a new Religious Congregation. According to the revelations of Sr. Faustina, this Congregation was to promote love for the Divine Mercy. After the War, he wrote the Congregation’s constitution. And he became actively engaged in the growth and development of what we know as the Congregation of the Sisters of the Divine Mercy. Fr. Michal Sopoćko died on February 15, 1975, in his apartment on Poleska Street. He was popularly acclaimed for his sanctity. He was buried in the parish cemetery in Białystok. Following the inauguration of the process for his Beatification, his body was moved to the Church of the Divine Mercy (November 30, 1988). He was beatified by Pope Benedict XVI on September 28, 2008.